I’m generally not a big fan of case studies. Usually they consist of unimaginative slices of marketing guff which are little more than glorified sales pitches for this or that technology. 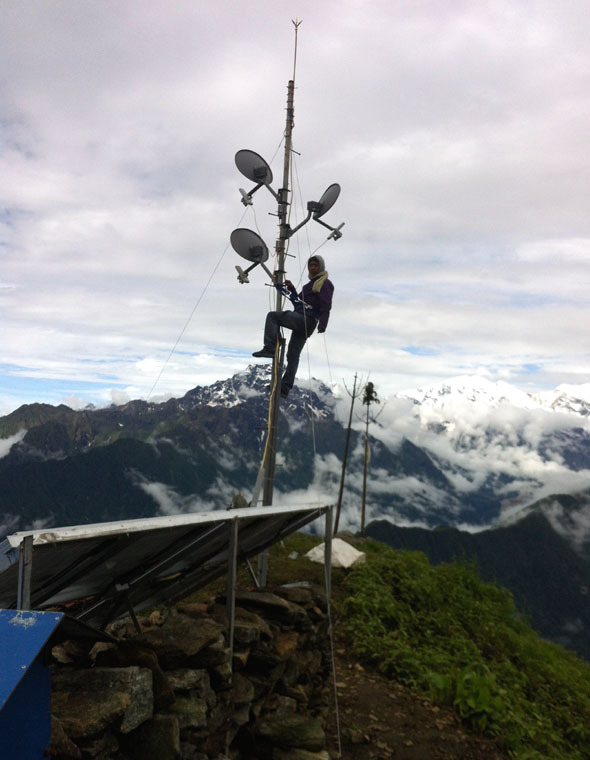 However, last week I came across something a little bit different – Cambium Networks technology which is being used to connect village communities 5,000 metres up in the Himalayas. 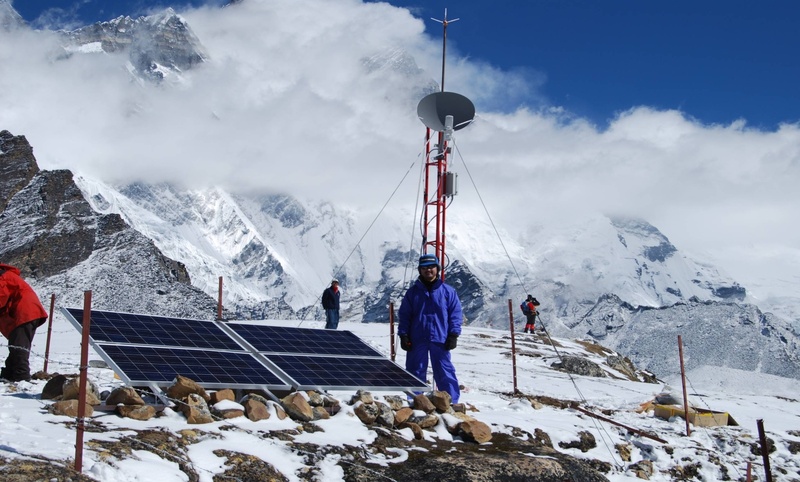 The project with Nepal Wireless has been steadily growing since 2002 when team leader for the operator, Mahabir Pun, helped build the first proof-of-concept network. Now it consists of 80 point-to-point links for backhaul and 60 point-to-multipoint base stations spread out across the world’s highest mountain range for network connectivity. Thanks to parabolic dish antennae signals can be successfully transmitted as far as 59 kilometres in all but the heaviest blizzards, at a data throughput of 10-14 Mbps and at 5.8Ghz and 2.4Ghz, the firm explained to me. The technological and operational challenges of building networks in this kind of environment are many, not least the treacherous terrain and weather conditions. Robust, reliable base station technology which is low cost, scalable and quick to deploy is essential. Solar power panels are used to overcome the problem of power supply given the remote base tower locations. “In Nepal we often have four or five modules on a mast. We synchronise the transmission so the network remains scalable,” explained Cambium’s APAC sales and marketing boss Roy Wittert. The project has now been able to connect some 150 remote villages, enabling education, e-health, local e-commerce and climate monitoring. This is one of those rare occasions when technology can truly change people’s lives for the better. Oh, and allow Western treckers to jump on Facebook more often. One of the most frustrating things about being a Hong Kong technology journalist is having people ask you what the next big tech trends are; what kind of weird and crazy gadgets you’ve managed to track down, etc etc. The truth is, as I’ve discovered over the past 18 months, despite its famously futuristic neon-kissed city-scape Hong Kong is not where you’ll find such weird and wonderful or early adopter technologies. They don’t even really exist in Japan’s famous Akihabara “electronics town” district either – a spot now filled with maid cafes and adult video shops. The truth is that for pimped out shanzhai goods like these, you’ll need to go to Shenzhen, just across the border from Hong Kong. This city, and its Chinese neighbours around the Pearl River Delta, has always been the epicentre of cheap, sometimes illegal but usually grey market goods – whether they be recognisable brand name items assembled or sourced from non-official channels, or white box weirdness from tiny makers you’ll never have heard of. It’s not as if, as I originally thought, there has been a government crackdown on these items in Hong Kong. You see, they’re not technically even illegal – it’s more market driven than that. People can afford better quality goods in Hong Kong without breaking the bank, unlike in China where an iPhone can cost a months’ salary and grey market versions of the big brands are sought out by virtue of being cheaper, he added. According to Forrester’s Bryan Wang, Hong Kongers also benefit from buying more of their phones through operators than direct from retail as in China, with two year contracts boosting their affordability whilst locking punters into lengthy terms. That’s not to say white box goods have completely disappeared from Hong Kong. 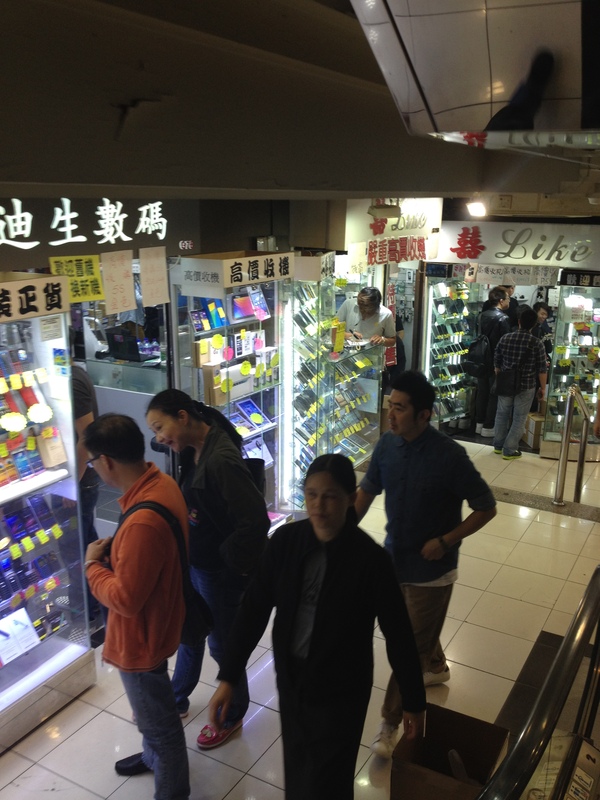 On a trip to Sincere Podium – a three floor mecca for smartphone fanatics in Mong Kok – there were one or two brand names I’d never heard of, like Copicell, Daxian and Shouyue. However, there were no unusually specc’d shanzhai products, of which Western readers are inordinately fond. As IDC senior market analyst Dickie Chang told me, skyrocketing local rents are also focusing the minds of traders. they want to sell,” he argued. It seems that the era of the weird and wonderful shanzhai handset, at least in Hong Kong, is well and truly over. Can you guess which city has more OpenStack contributors in it than any other on the planet? Well, it’s Beijing. That may come as something of a surprise given the heritage of the open source cloud computing project – NASA and US hosting/cloud giant Rackspace. However, it’s certainly not a one-off, with several other cities in the PRC also boasting significant numbers of acolytes, including Shanghai which also ranks in the global top ten. I learnt this and rather a lot more about the project at the OpenStack Summit in Hong Kong this week. It was a conference heavy in symbolism for the OpenStack Foundation – its first ever outside the US and the first since the release of Havana – its eighth major release for building public, private and hybrid clouds. Having slogged my way around IT conferences for more years than is healthy for a person of my age, the summit was a first for me in many ways. First up the new announcements from vendors were kept very much in the background – barely mentioned at all in the keynotes and not publicised heavily elsewhere at the event. Now that could be the fault of the event PR team but I’d like to think it’s because the Foundation are trying to send a message of inclusivity to the community – that no one vendor should be allowed to use the platform to market its wares so blatantly to a captive audience of over 3,000 enthusiasts. That’s not to say there was no news, of course, or that the major vendors weren’t using the show to meet customers, get their message out, etc, but it was certainly toned down from the all-guns-blazing razzmatazz of some industry events I’ve been to. Part of that no doubt lies in the fact OpenStack Summit is really about bringing the community together to share ideas and best practices on implementations and, quite literally, to sit down and draw up a roadmap for where it is headed next. It is still very early days for OpenStack versus, say, Amazon Web Services, and there is a certain amount of tension still in the community about whether it should be seeking to emulate the cloud leader or take a separate path of innovation – “letting a thousand flowers bloom”, according to Canonical founder Mark Shuttleworth. The Rackspace private cloud VP Jim Curry and CTO John Engates I chatted to admitted feature parity isn’t at the same level as AWS yet, but also claimed that itself is a bit of a red herring as few people use all the features in Amazon anyway. “Entrepreneurship is the solution to all the world’s problems,” according to Google executive chairman Eric Schmidt, who was in Hong Kong today to launch a new program to foster greater start-up talent within the Chinese SAR. Schmidt’s visit was something of an anti-climax in the end. Media were not invited to ask any questions and what we finally got from the Google man after a half hour delay was less than insightful. He trotted out the usual argument that more innovation and technical invention will likely gravitate to this part of the world because there is a “numerical advantage” in terms of graduates with degrees in STEM subjects. 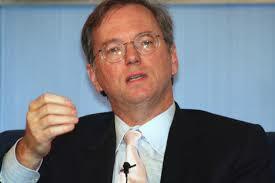 Several times he also repeated the notion that “the native underlying Chinese culture is entrepreneurial”. “We all know this, it’s been true for 1000 years. It’s a great asset of Chinese history,” he said. The inference here is that the region and its people should be more inclined than most to producing innovative technology start-ups. However, we heard very little about why that’s simply not happened thus far, in Hong Kong at least, although Schmidt did acknowledge that there wasn’t enough of a VC industry here and that, although entrepreneurial, the locals are also culturally afraid of being “different”. Google’s announcement today – a program of mentorship and incubation with the Chinese University of Hong Kong – is surely yet another indication that the SAR government has singularly failed to foster the kind of innovation that can start local and grow internationally. It’s a view I’ve heard time and again – even from successful international technology companies who came to Hong Kong with an impression of a hi-tech city and found instead something much less mature to work with. The conversations at most local tech conferences I’ve been to are still at a “what is the cloud?” stage. It’s difficult to believe sometimes. The one year project announced today is unlikely to change that much. We don’t know exactly how much access to Silicon Valley “mentors” and help with start-up costs local entrepreneurs will get as part of the initiative, but at first glance it seems like a pretty good way for Google to cream off some of the best of that limited Hong Kong talent.